The University of Plymouth is recognised globally as a world-leading centre for research into the causes and impacts of marine litter. Now it has agreed a plan to build on that expertise by reducing the amount of plastic waste generated on its campuses, and the use of single-use plastics in general. The Plan for Plastics includes a range of actions the University will implement across its catering, leisure and waste management activities. 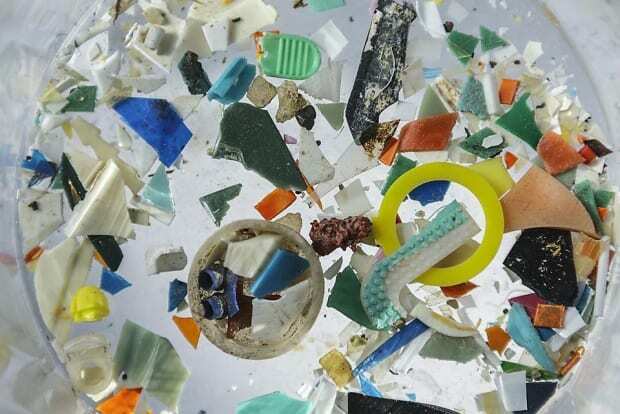 It also aims to expand the work conducted by its International Marine Litter Research Unit, helping staff, students and society as a whole to tackle the global challenge of moving towards a plastic free society. The plan is being launched on World Oceans Day, as the University becomes a part of three major initiatives designed to minimise the generation and impact of marine litter. They include the WRAP (Waste and Resources Action Programme) UK Plastics Pact and Plymouth City Council’s Plan for Plastics, with the University also part of a successful bid which has seen Plymouth become the first UK city district awarded Plastic Free Waterfront status by Surfers Against Sewage. Already this year, the University has launched a Ditch the Disposables campaign with discounts available for those who bring their own cups to its cafes. Plastic straws have also been removed from cafes and the Students Union, and more drinking fountains and water machines are in place across campus. There is also a target to recycle 70 per cent of all waste (and all plastics), to ensure food is being served on either reusable or recyclable products, and to work with suppliers to remove all single use plastics from shops and cafes. The University is also looking to continue delivering world leading research, in particular using its expertise in encouraging behavioural change to educate students, staff, partners and industry.